Property is located at the NWC of Lamb Rd & Phillips Rd. Property has paved frontage along Lamb Rd, and paved access from the Sunland Gin Interchange at I-10. Planned Area Development approvals are in place. 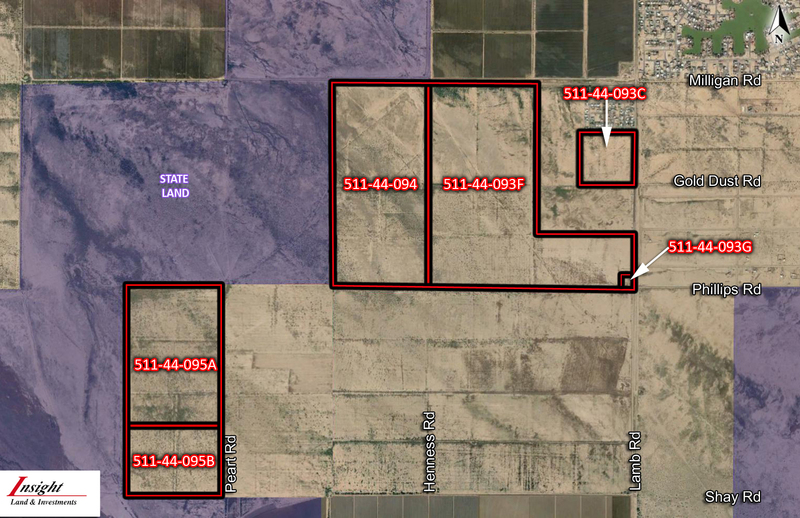 One of the few remaining large parcels in Pinal County with water and sewer to the site. Excellent tax advantage for 1031 exchange in an Opportunity Zone. Property is directly in the corridor of future Route I-11 which will connect Las Vegas with Mexico.